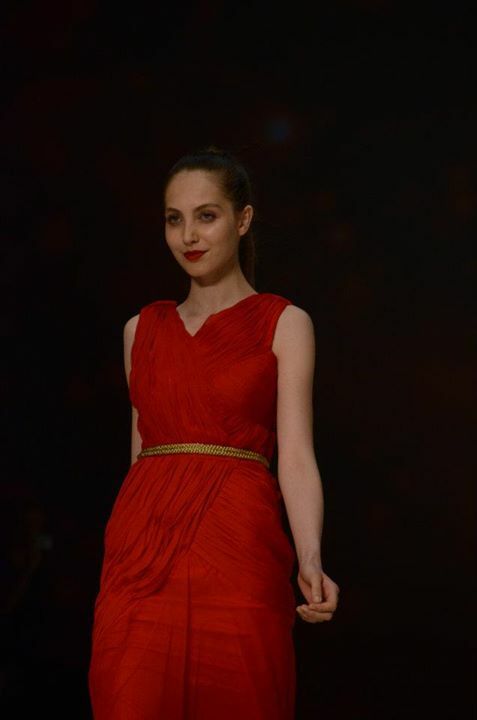 In Dubai Fashion Week, Red Dresses for Girls are Launched by Minisha Malhotra, Mehwish Afzal and Ravi Bajaj. 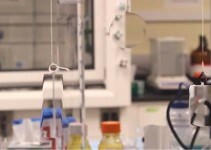 These unique collections inspire the women and win the hearts of many their customer. 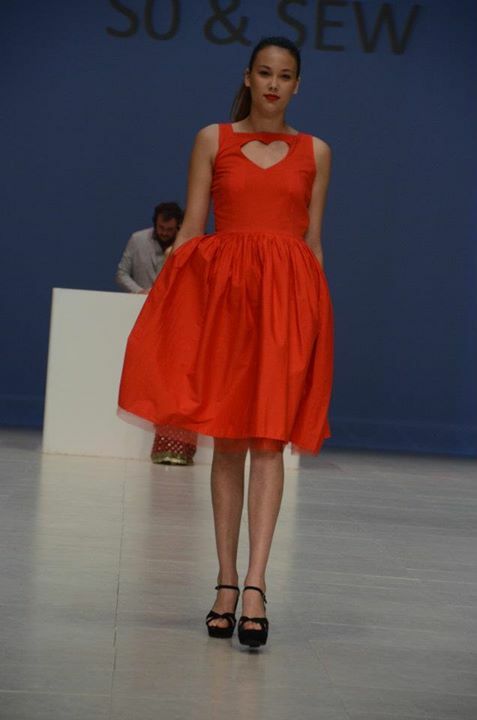 Many celebrities, designers and the media people take part in this red dress collection. This Collection made people happy and enables the women to look dresses as they didn’t see red dress before. 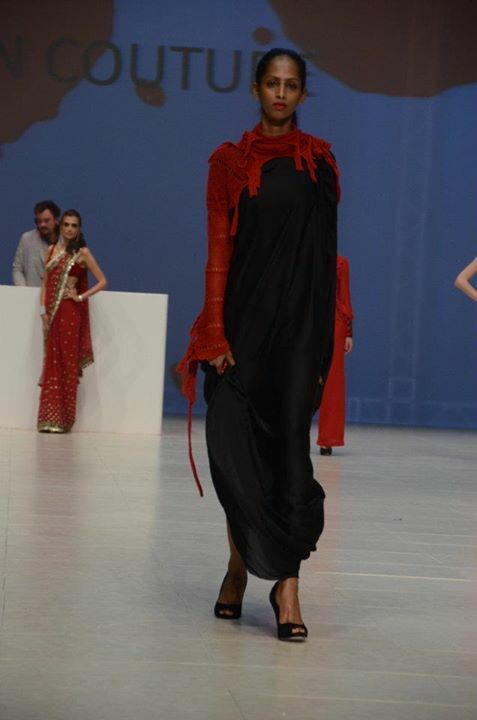 In this Dubai Fashion Week, model walk on the floor wearing red saree looks gorgeous. This red color saree gives a charming look having embroidered boarders in golden color that gives shinning look to it with the simple sleeveless blouse. 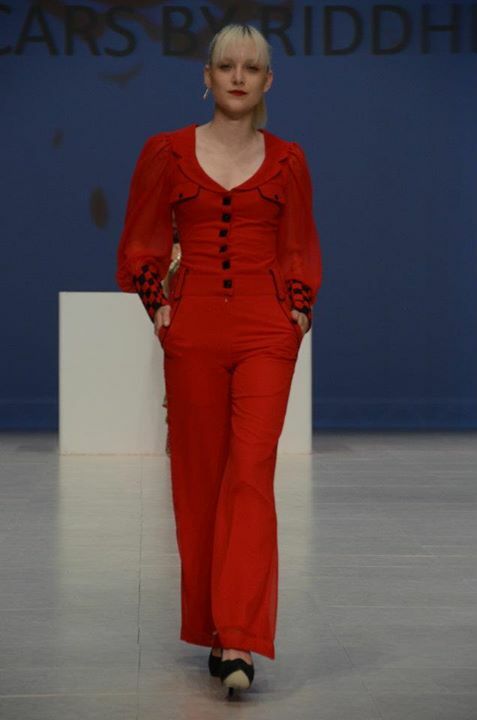 Another suit that got the great appreciation is the red maxi with the net upper body and having leaves cut work on it and with a long cut on its front. It has a belt in the middle for fitness. 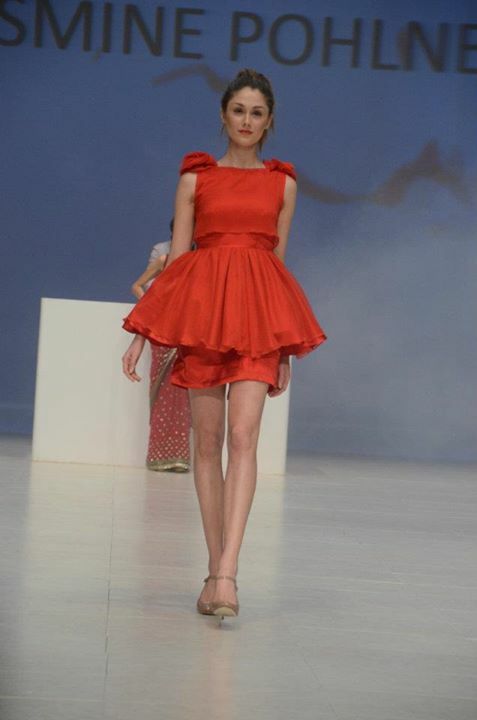 Red short frock with a nice shoulder cut gives a decent look and can be best for the casual wear. A short red maxi having a chain style on its both sides This short maxi having a round circles on its front gives a party wear look. Peach color maxi gives a charming summer light color .peach maxi having a golden patch work on its front can be wear for casually as well as on the gatherings Frocks looks awesome wear casually or wear at any event.,this collection also included frocks. The red color short frock sleeveless having the heart on the front side looks great ,this frock totally represent the theme of that collection .Red color trouser shirt gives a smart look having black color buttons on it and round neck with small colors and pocket style. It has long hand cough styles with ala din arm style. 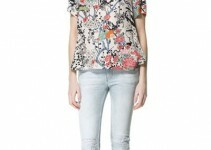 This shirt is with pant type trouser. Black and red color combination is the most famous and beautiful combination Red color woolen arms and necks with a decent black front rounded maxi. Net red color maxi is one of the most beautiful collection with rounded frills neck. 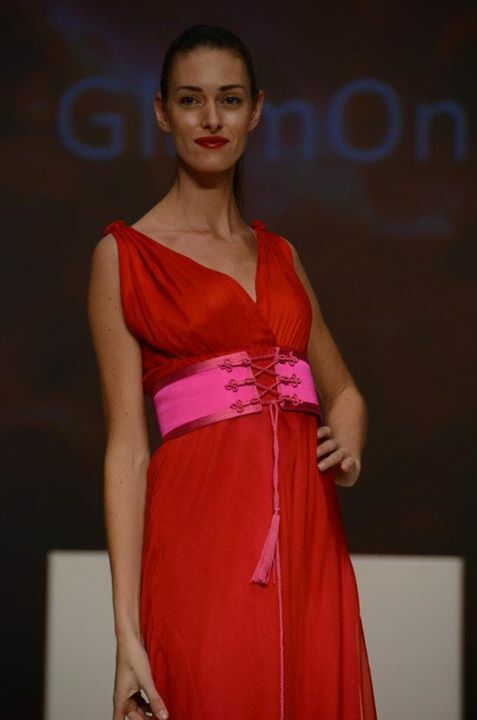 Red color long maxi with a black belt on its front gives a smart and modern look to the long heighted women’s. Another maxi with red and black combination that looks awesome with the red colors flowers on the front of the maxi. Red color shirt with the beats work on its front can be worn on gatherings. Short maxi up to the knee with back less, neck less, sleeveless gives a glamorous look. These having a black ribbon bow on its front. A traditional Asian saree in red enhance the beauty. Saree in red with a black flower work on it .Red maxi back less and sleeveless with a golden lace work on it. Red short frocks having a flower at its belly give a beautiful look wearing casually or wearing it in any eve. Golden and silver color enhances the beauty. Their combination with red gives awesome look, maxi in red with silver work on it gives a princes look. 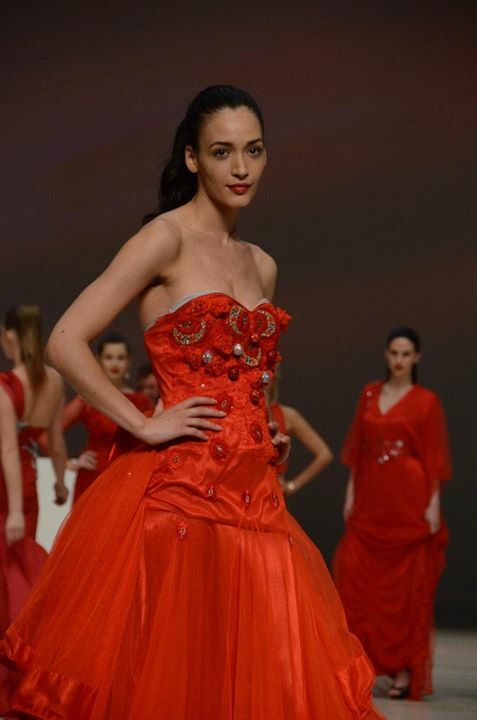 Note: All These Images of Red Dresses for Girls are Taken from the Official Page of Dubai Fashion Week, If You Want to Use any of Them Commercially than You Should Get Permission from The Respective Owner… Thanks!